After defeating Arizona, the Seattle Seahawks defensive end Michael Bennett led the team in a post-win victory dance in the locker room while a photographer snapped a photo for the team’s official Twitter account. The image captured the team’s elation after the win — but it also served as perfect fodder for the fake news artists of the internet looking for viral attention. With a bit of pixel manipulation, the celebratory dance turn into a photograph of a national role model burning an American flag. Fake news is a growing problem, but visuals like this one can be even tougher to spot. Like that viral blue-gold dress, it’s hard to tell our brains that something that we see with our eyes isn’t quite accurate. One might think that an inflammatory or shocking image would naturally draw tighter scrutiny from viewers, but the opposite is often true — we may react to an image that disturbs us before we take the time to analyze it. While the accuracy of an image can be difficult to gauge, here are a few ways to tell if a picture is Photoshopped. Start with the telltale signs. Sometimes, all you need to stamp that “false” label on the image is just a closer look at the image itself. Photoshopping is an art in itself and making an object that doesn’t belong match the surrounding image is difficult to do well. That complexity is good for spotting fake news, but if you’ve never actually opened Photoshop before, you might not know what to look for. Remember, our brains have trouble with the concept that what we’re seeing may not be real, especially within a photograph rather than a more subjective art form like a painting. That makes it easier to fall for a fake even when there are a few commonsense signs, particularly if the image seems to confirm our own biases or beliefs. The first step is to actually question the image even when nothing immediately jumps out at you as being off. The next step is to take a critical look at it. The cliche, “Where there’s smoke, there’s fire,” takes a literal meaning in the faked Seahawks photo. If he’s really burning the flag indoors, where’s the smoke? Cropping around the edges of an object is tough to do. Zoom in on the photo in question and look at the edges of the objects. Overly sharp edges or jagged edges are a telltale sign that the object was simply pasted in over the original photo. This light trick is also a great way to easily tell that the flag burning photo is a fake. Fire is a light source, yet the part of Bennet’s body that’s closest to the flag, his torso, is in dark shadows. If he really was holding a brightly burning flag, he would be illuminated by it. Instead, the brightest parts of the image are simply whatever is closest to the ceiling lights. Be wary of bad quality. A low resolution image file can help hide the signs of a faked photo. It’s difficult to see if the edges of the flag in that Seahawks photo blend because the entire image is pixelated, a good warning sign that something’s not quite right. With the widespread availability of high speed internet today, it’s rare that an image would be uploaded at such a low resolution. Spot a photo that instantly has you piping mad and ready to hit that share button? Take a deep breath before you press it. Photo manipulators want to go viral, and you don’t go viral by Photoshopping a litter of puppies in a field of daisies — you go viral by depicting something sensational, like a role model doing something very unpatriotic. That Seahawks photo was taken in 2016 and the fake made the rounds after the nation was already divided over NFL players kneeling during the national anthem. In short, there was an audience ready for such an image and the fake’s creator knew this. Studies suggest that we are more likely to share content that makes us angry or sad. Photoshop manipulators know this, and since they want to go viral, they try to doctor photos in a way that’s going to immediately get you riled up. Unusual images and visuals that make you mad are a very good reason to take a closer look at an image, but the very anger you feel is often what you prevents you from taking a critical look at it in the first place. 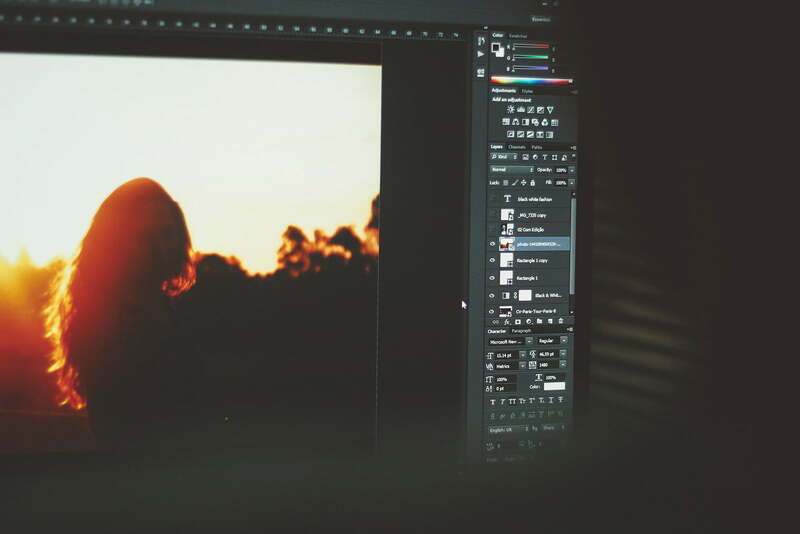 Often, determining a photo is a fake is as easy as clicking on a larger version of the image. But, sometimes, spotting a fake isn’t quite so black and white. What then? If there’s no signs that you can spot within the image itself, there are a few other ways to detect a potential fake. 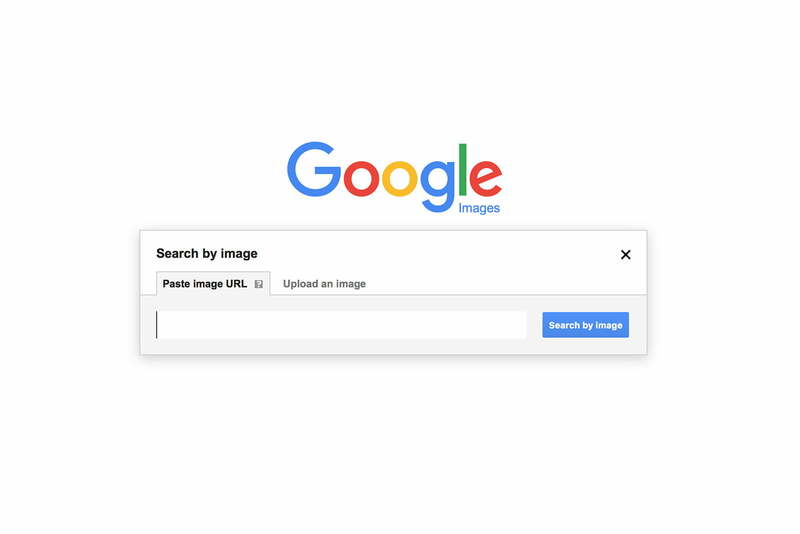 Conduct a reverse image search. Photo manipulators often aren’t manipulating their own unique photo but pulling an image they found on the web and making changes to it. That makes spotting the fake easier, because you may be able to track down the original using a Google image search. In the search results, click on “Visually similar images.” Now, look for similar images that aren’t quite the same as the photo in question. If we follow the process for the Seahawks image, we see the original image within the first few results. Digital cameras embed “invisible” data inside the image file. While you can’t see the information in the image, accessing it is easy using a photo editor or even free online software. With that image link still copied (or recopy with a right click), paste the image’s URL into metapicz.com and hit “go.” You’ll be taken to a screen that contains all the metadata embedded in that file. Faked images are more likely to have stripped metadata, which means the data has been scrubbed from the file. 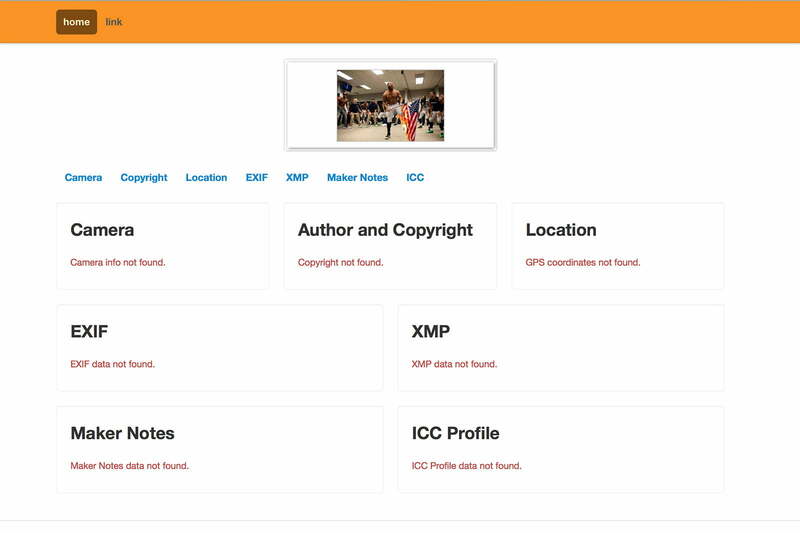 In that fake flag photo, the EXIF area — which should show things like camera type and exposure settings — simply displays “camera info not found” and “EXIF data not found.” The original, on the other hand, says the image was taken with a Nikon D750 by Rod Mar. EXIF data isn’t always a surefire sign that an image has or has not been manipulated, however. If you look at the original photo’s EXIF, under software, the image lists Adobe Photoshop Lightroom. Most professional photographers shoot what’s called a RAW image file, which has to be processed with a photo editor like Lightroom before sharing. Just seeing Photoshop listed in the metadata could mean something totally innocuous — perhaps the image was simply resized or some basic exposure and color adjustments were made. While EXIF data can’t tell you anything with 100-percent certainty, if the data relating to the camera and photographer are intact, the chance the photo was unethically manipulated drops. 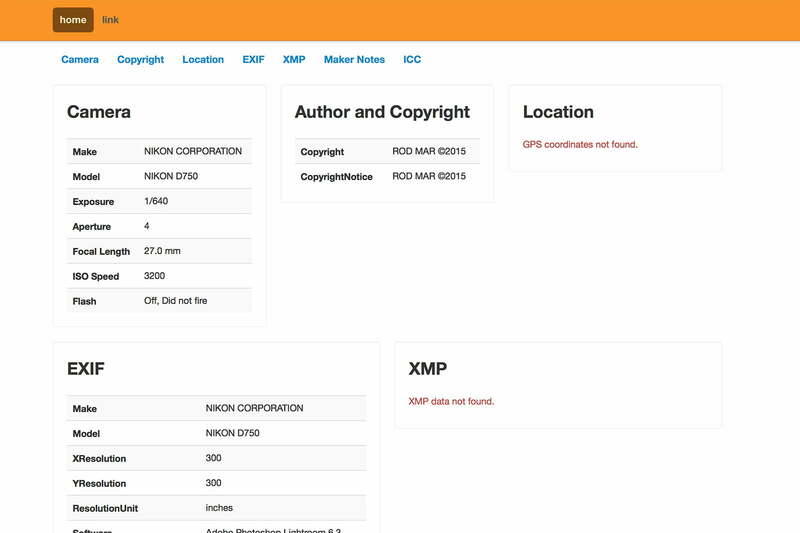 But as with the image itself, EXIF data can also be manipulated, so you can’t rely on this alone. Try Snopes and other third-party fact checkers. If the details of the photo itself, reverse image search, and EXIF data won’t let you trust the image or share it with peace of mind, try third-party fact checkers. Search websites like Snopes for some keywords in the image. Snopes may not be able to tell you that your friend Photoshopped themselves into a beach at the Bahamas when they really stayed home all weekend, but fact-checking organizations tend to pick up on the viral fakes quickly. Fake news is a growing problem — and doctored images are even easier to fall for. Start by looking for a few telltale signs within the photo itself, especially for controversial images. A reverse image search, metadata software, and fact-checking organizations can also help web users to find the line between real and manipulated pixels. And remember, the images that inspire us to react without thinking are usually the ones we need to pay the closest attention to.